There are signs out there that summer is finally on the way! Thank the maker! I'm really looking forward to running with a bit of sun on my back after putting up with the sub zero temperatures over the last few months. While I'm on the subject of the Summer, it's a good time to mention David Fairlamb's (pictured) Beach Bootcamp which I've attended for 20 consecutive Saturdays now. This session has been an important part of my USA 2011 training and aside from the obvious fitness benefits gives a great start to a weekend. The 45 minute session starts opposite the Grand Hotel in Tynemouth at 09:00 on a Saturday morning. If you can't make that one then there are 2 other morning sessions on offer. The 45 minute Wakeup Workout starts at 06:45 on Tuesday and Thursday mornings. David's website goes on to explain - "If you are looking to lose weight, tone up, improve your aerobic fitness, strength, stamina, endurance....plus look and feel better then this is perfect for you!!". For more information why not check out davidfairlambfitness.co.uk or read about my first experience of Bootcamp by clicking here. The now legendary "Steps" session in King Edwards Bay is not actually part of the 45 minute session. It's an optional extra done by a few people at the end of the workout. Many have tried it, few have returned to try it again! After over 5 months of training, things are going to veer from the normal schedule for the next few weeks. The intensity and quality will remain however! This week got off to an excellent start with a 90 minute personal training session under the instruction of Mark Fleming. I went into it feeling very jaded and under the weather. After a tough workout, I left feeling invigorated and any signs of the weekend's head cold had disappeared. How did that happen? The head cold had made me miss my first Boot Camp in 20 weeks. I was gutted at the time but it was nice to spend Saturday morning at home for once! Jack and I even managed to watch 3 Bond movies that day! I've got 2 Spinning classes to get through on Tuesday morning and Wednesday lunchtime. 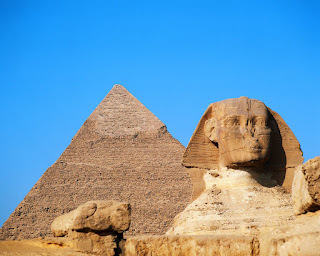 Then, on Thursday, I will be travelling to Egypt with Katy and Jack for a family holiday. We are there for 10 days and I'm hoping to get 50 miles of running done when I'm there. The main aim is to learn a few lessons that running in heat and humidity will provide. It's been 15 months since I ran in Dubai and I haven't really experienced those kinds of conditions since! The weather in Egypt will be a few degrees cooler than the Mojave Desert in May 2011 where I would expect the temperatures to reside in the 90's. Ouch! On my return from Egypt I'll be straight into a gym week with a few classes and a session with Mark Fleming. I'll be having a Body Composition Test that week too! Not what you want after an all inclusive holiday! Doh! The following week I'll be having another crack at running 75 miles with a variety of speed and distance. If that week is a success then the USA 2011 training schedule will be back on track and I'll be well on my way to reaching the 110 miles a week target by July 2009. It's an important few weeks ahead but I've got a feeling I'm going to really enjoy them. Monday 23rd March - Personal Training Session. (01:30:00). Thursday 26th March - Personal Training Session. (01:30:00). Monday 16th March - 5 mile run, Treadmill. (00:42:51). Monday 16th March - 6 mile run, Jesmond Dene. (00:55:45). Tuesday 17th March - 6 mile run, Town Moor. (00:46:58). PB! Tuesday 17th March - 5 mile run, Treadmill. (00:40:03). Wednesday 18th March - 11.6 mile run, Gosforth Tour. (01:48:08). Thursday 19th March - 5 mile run, Treadmill. (00:40:41). Friday 20th March - 17.1 mile run, Gosforth to Shotley Bridge. (03:07:42). 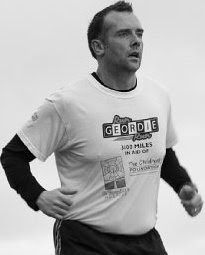 Saturday 21st March - 1 mile run, Tynemouth Beach. (00:11:01). Saturday 21st March - 12 x run up the steps. (00:34:45). Saturday 21st March - 3.8 miles, Metro Centre to St James Park. (00:38:14). Saturday 21st March - 3.9 miles, St James Park to Metro Centre. (00:41:02). Sunday 22nd March - 7 mile run, Shotley Bridge to Ebchester and Back. (01:22:47). Week 20, Day 7 - 3.6 miles short of the target! I managed a 7 mile effort tonight down a dark and windy Derwent Valley to take this week's tally to 71.4 miles. My heart just wasn't in it and I quite literally lost the will to run and gave up 3.6 miles short of the end. It's not as if I didn't have enough energy or that my legs gave up on me. I just couldn't do another mile! I hit a mental block! I'll be talking through the week's events with Mark and David tomorrow and I've got a feeling that they won't be too disappointed. I'll post a full review of the findings and where I go from here early next week. It's no great disaster in the grand scheme of things and it's still the most mileage I've ever managed in training. Ever! Although it's some way short of my record of 182 miles in a single week. I suspect I've paid the price for some pacy runs early on in the week and perhaps a bit of dehydration has had a part to play. Those pacy runs certainly boosted my confidence so they've served some purpose. But speed isn't going to get me from one side of the USA to the other so I'm going to have to try and be sensible! The plan for the next 2 weeks is to concentrate on getting more strength in my legs in the gym. Then in 3 weeks time I'll be tackling a 50 mile week in Egypt of all places. That should be quite a challenge. The week after that will be more gym work before attempting another 75 miles the week after. If that goes to plan then I'll look to sustain that mileage or add another 5 miles on as per my original schedule. I'll make that decision nearer the time. Week 20, Day 6 - 64.4 miles done, 10.6 left on Mother's Day! Since Friday's long run home it's all been a bit of a struggle! I managed 8.7 miles yesterday afternoon after a very tough Beach Bootcamp session in the morning. I wasn't able to do my planned run immediately after Bootcamp and 12 lots of very tough steps in King Edwards Bay. Instead, I parked my car at the Metro Centre and ran to the match and back later in the day. Running back down the Scotswood Road wasn't the best after a 1 - 3 defeat by Arsenal. I haven't done the sums yet but I think my average times per mile have plummeted meaning that the quality of my running has tailed off somewhat. On the plus side, the feeling of tiredness that I've got now is exactly what I'm after. This is the feeling that I once used to get after running 30 miles per week. It's testament to my training that it's kicked in after 64 miles, Beach Bootcamp and 12 lots of steps! I'll be reflecting on this week's training with Mark Fleming and David Fairlamb next week. In the meantime I've got 10.6 miles left to run today. I'll be trying to run with as much quality as possible to end the week in some style. Given how tired I feel this morning, this will be easier said than done! 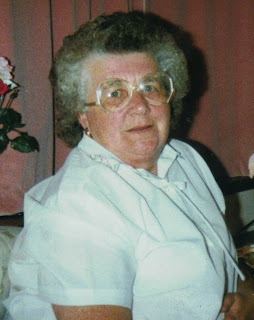 But on this Mother's Day, just like most other days, I'll be thinking about my Mam (pictured) as I run down the Derwent Valley. If that's not enough to give anyone strength I don't know what will. Week 20, Day 5 - 55.7 miles done, 19.3 left! Yesterday was a bit of a disaster, in that I fell asleep after tea when I was supposed to be doing my 2nd 5 mile run of the day! Oops! Never mind, there's plenty of time to get that missed run in between now and Sunday as I stride towards 75 miles for the week. Incidentally, yesterday's 5 mile run was done on the treadmill in 00:40:41 with the last mile at 00:06:59. That's way too fast but I just can't help myself at the minute. I've spent years running at a 9 - 10 minute mile pace and I now want to put this new found pace to some use! Anyway, back to today where I've just finished a 17.1 mile run home from Gosforth to Shotley Bridge in 03:07:42. This route is quite hilly once over the Redheugh Bridge. That climb from Team Valley up Lobley Hill to Burnopfield is a killer in places! I should add that I carried 1.5 litres of water in my hydration back back so there was a bit of extra weight. I drank almost all of it and stopped after 11 miles for a lemon drizzle muffin. Nice! Today's run brings the total mileage for the week to 55.7 leaving just 19.3 miles to do before close of business on Sunday! Tomorrow will be the usual Bootcamp, 12 lots of steps and at least 10 miles! I've got a very good chance of getting the total 75 miles done! Watch this space. Week 20, day 3 - 11.6 miles on a lovely sunny day! John Brettell was the guide today for a brand new 11.6 mile tour of the places north of Gosforth (Brunswick, Hazelrigg, Wideopen, Peter Barratt's Garden Centre and the Findus Factory). John dubbed it the "Run Geordie Run Promotional Tour" as we were both wearing those rather splendid t-shirts of the same name available from this site (See the link on the right hand side). It was a lovely day for a long run and it was nice to spend 01:48:36 in a decent temperature for once. I could definitely feel yesterday's 2 speedy runs in my legs and was grateful for the slower pace. The run wasn't too problematic but I did find myself very thirsty at the end. I must think about taking on more fluid before a run as the temperatures start to increase over the coming months. So where does that leave me in week 20 of the USA training schedule? That's 33.6 miles done leaving 41.4 still left to do. I'll be doing 2 x 5 mile runs tomorrow at a sensible pace (how many times do I say that these days!) with a hilly 17.4 mile run home on Friday. That will leave me with only 14 miles to do at the weekend! 9 of those will be done after Beach Bootcamp and 12 sets of steps on Saturday and the final 5 miles will be left for Sunday. Sounds like a plan! Week 20, day 2 - 7 years of hurt come to an end! Well! What can I say! I've been trying to beat the 50 minute mark on one of my favourite 6 mile runs for 7 years now. Yes, a 7 whole years! Known to some as the "Mark Allison Memorial 6 Miles" this course starts in Gosforth, works it's way to Grandstand Road and goes all the way around the Town Moor via Claremont Road and back up the Great North Road (past my birth place as it happens!). The final time was 00:46:58 which absolutely hammered my previous best time of 00:51:27. This time was set just a few weeks after I'd finished the John O'Groats to Lands End run in September 2007. I was in peak condition then. Where on earth does that put me now! And don't forget that I've still got over 2 years of training to get in! Jimmy Bell always said I'd beat 50 minutes and I've tried time after time after time to do it. That was only the first session of the day and I still had 5 miles to do on the treadmill at teatime! "I'll take it slow" I thought! That plan went out of the window and my final time was 00:40:03 which is the 2nd quickest 5 miles I've done in modern times. I don't really count the treadmill miles though as they are all flat and can't be compared to the running I do outside. Still, I was very pleased with that time so soon after smashing my 6 mile PB. My long standing 10k (6.2 miles) PB is 00:43:45 set back in 1995 on the Kielder run. I've got someway to go to beat that but I reckon that if I get down to my fighting weight then I've got a chance. I'll save that one for 2010! In the meantime, I've got 53 miles left to do this week for a total of 75 miles. I can't end today without saying a massive thank you to Brooks Sports who supply me with running shoes and various other bits of kit. Incidentally, all of my recent PB's have been achieved in Brooks Glycerin 6 and 7 shoes. They should call them Brooks Slippers as they are so comfy! Anyway, I received a consignment of goodies today from Brooks Sports including a load of socks and some short sleeve base layer training tops. Both the socks and tops are the usual superb quality I've come to expect from Brooks. I really appreciate their support. Their shoes saw me through one major run in 2007 and God willing will see me through another in just over 2 years time! If you'd like to try Brooks shoes for yourself then why not get yourself along to Northern Runner, 52 Low Friar Street (Just down from the Gate), Newcastle. If required, they'll take a good look at your feet and will always recommend the best shoe for your foot type. Week 20, day 1 - Off to a flyer! I still had that steps session in my legs on both of today's runs but there was still a lot of quality in both the 5 and 6 mile runs. The 5 miler was done early on on the treadmill in the Northern Rock gym in 00:43:51. It was later down to Jesmond Dene to do a few hills and this 6 mile effort was done in 00:55:45. I really felt my calf muscles at the end of that one! So that's 11 done and 64 left this week. Tuesday's plan is to do a quick 6 mile run round the Town Moor and an even quicker 5 mile treadmill session after work. Monday 9th March - Personal Training Session. (01:30:00). Wednesday 11th March - Spinning Class. (00:45:00). Thursday 12th March - Personal Training Session. (01:30:00). Saturday 14th March - Beach Bootcamp. (00:45:00). Saturday 14th March- 21 x run up the steps. (00:52:51). PB! 75 quality miles is the target for week 20! If I put as much effort into next week's training (week 20) as I did in yesterday's session on the steps at Tynemouth then I have a fighting chance of completing all of the planned 75 miles. It's a big week of training and one where I'll learn a few lessons no doubt. The main lesson, once again, will be concerned with consuming the best quality and quantity of food to support all of the exercise. The daily principals are simple - Porridge for Breakfast, Carbs of some sort for lunch and lean meat and salad for tea. I'll be throwing in plenty of fruit too. Those are the principals. Putting it into practice is almost as difficult as doing all of the running! Yesterday saw me tackle a new personal best of 21 sets of steps in King Edwards Bay, Tynemouth following a very tough Beach Bootcamp. The usual crowd were there and a few people also managed personal bests, even Dave Fairlamb I think! At the time of writing this post almost 30 hours have passed since that steps session and my calf muscles are still very sore. I'll be looking to get rid of this soreness with my first run of the week at 7 am tomorrow morning! Great! I'll hopefully get things off to a good start tomorrow and 11 miles are the target. I'm again looking for more quality next week in my running. To keep things interesting I'll be aiming to beat an average pace of 08:58 set 2 weeks ago for 70 miles. That in itself is going to be a tall order but it should keep me focussed. Watch this space for further updates during the week! Monday 2nd March - 5 mile run, Treadmill. (00:43:33). Monday 2nd March - 6 mile run, Jesmond Dene. (00:53:45). PB! Tuesday 3rd March - 5 mile run, Treadmill. (00:42:00). Tuesday 3rd March - 5 mile run, Treadmill. (00:45:52). Wednesday 4th March - 5 mile run, Race Course. (00:41:30). Thursday 5th March - 6.5 mile run, Kenton, Fawdon loop. (00:53:44). Thursday 5th March - 3.5 mile run, Treadmill. (00:27:57). Friday 6th March - 17.4 mile run, Gosforth to Shotley Bridge. (03:10:44). Saturday 7th March - 1 mile run, Tynemouth Beach. (00:09:20). Saturday 7th March - Beach Bootcamp. (00:45:00). Saturday 7th March- 12 x run up the steps. (00:27:11). Saturday 7th March - 8 mile run, Tynemouth to St Mary's Lighthouse and back. (01:15:42). Sunday 8th March - 7.6 mile run, Treadmill. (01:09:12). A good reaction to Friday's 17.4 miles. Regular readers will know that my Saturday morning training for the last 18 weeks has included Beach Bootcamp and running up the steps in King Edwards Bay, Tynemouth. This week was no exception and Beach Bootcamp was once again taken by Dave Fairlamb and for the first time Mark Fleming. There were loads of people there today and splitting the participants into 2 groups worked really well. Dave took the Cardio element on the beach with Mark dishing out the orders for some strength work on the promenade. I've said it loads of times before but if you fancy a good workout and an energetic start to the weekend then you should give Beach Bootcamp a try. It starts at 9 am every Saturday opposite the Grand Hotel in Tynemouth. There are sessions on other mornings too. See www.davidfairlambfitness.co.uk for details of those ones or for contact details. Out of the 18 classes I've done so far, today's session was definitely the warmest. It's going to be brilliant in the Summer months when it gets really hot! I'll have to get my Borat Bikini ironed in readiness! As well as being the warmest, today's Bootcamp flew by the quickest. I thought we were only about 20 minutes into the session when it came to doing the stretches at the end! Yet again, Bootcamp was the usual brilliant all over workout. It also served, as I'd hoped, as a great loosener after yesterday's 17.4 mile run. After Bootcamp, it was onto the steps in King Edwards Bay with 7 of us doing various numbers of efforts. I managed my planned 12 lots of steps incident free. The pain, the jelly legs and the nausea at the end are no longer evident these days as was the case when I started training 18 weeks ago. Let's see if that's the case when I try and beat my best of 20 next week though! Finally, after the steps today I managed to run 8 miles on top of the 1 mile warm up before Bootcamp. This would have been slightly longer if the tide had not been so far in at St Mary's Lighthouse. Anyway, that took my weekly mileage up to 62.4 only 7.7 short of the target of 70 miles this week! Not only was today a good workout but it has taught me a few things. Firstly, I get a much better recovery and subsequent run when my nutrition is right. Let me tell you that my nutrition has been spot on this week with no chocolate or crisps and plenty of porridge and fruit. The second thing I've learned is that I'm actually developing quite a good engine. The first 34 miles this week were done at an average of 00:08:24 per mile. The 17.4 mile run with hills caused no problems and I had a brilliant session today with no real evidence of having run 53.4 miles this week. There has been quality throughout everything that I've done this week. I couldn't be more pleased! Speaking of quality, Fraser Scott took some brilliant photos today of the session on the steps. He is an awesome photographer. If you have an up and coming wedding or family do then why not check his website out at www.fraserscottphotography.co.uk. Very close to a successful week 18! I took a different route from Gosforth to Shotley Bridge tonight and it turned out to be 17.4 miles! That didn't matter as I was looking for at least 17 which is just about my range on an unsupported run. There was a fabulous climb from Team Valley all the way to Burnopfield which didn't turn out to be too bad on the legs at all. I'm now just 16.6 miles short of the planned 70 this week. It's Beach Bootcamp in the morning followed by 12 lots of steps and a 9.6 mile run. I'll not be going full pelt at Bootcamp and just like 2 weeks ago I'll be using it as a bit of a loosener. If I get through all of that then all I'll be left with is 7 miles on Sunday which will probably be done in Derwent Valley somewhere with a few climbs thrown in for good measure! It's going to be tough tomorrow with 53.4 miles in my legs already but I'm so close to one of the best weeks of training ever. It's had everything so far; pace, hills, distance but most of all quality throughout and backed by some good nutrition. It's time to maintain that level of quality over the next 2 days and bring a close to week 18 of training for USA 2011 in some style. I'm on fine form this week with 36 miles done so far at an average pace of 00:08:24 per mile! This is top form indeed by my standards and I should give myself a good chance of getting the planned 70 miles in with a 17 mile run home from work tomorrow afternoon. That will just leave 9.4 miles to do on Saturday after Bootcamp and Steps and 7.6 in the Pennines on Sunday. Easy peasy! Katy has done more than her fair share of school runs this week to allow me to get all of the running in. I'm on a low mileage week next week so I'll be increasing my school drop off/pick up responsibilities. This approach will be vital going forwards when I'm scheduled to run over 100 miles every other week. I won't hesitate to pull the plug on this mileage though, the minute that I feel it is affecting Katy and Jack. It's going well so far so fingers crossed! I'm also pleased to report that the quality of my food intake has increased. I'd let things slip in February but I've not had chocolate, crisps or a bacon sarnie for 8 days now. I've had a lot more fruit instead. Taking a punnett of plums into work has made for numerous double entendres. They are a filthy lot! Monday 23rd February - Personal Training Session. (01:30:00). Thursday 26th February - Personal Training Session. (01:30:00). Saturday 28th February - Beach Bootcamp. (00:45:00). Saturday 28th February - 20 x run up the steps. (00:57:21). PB!